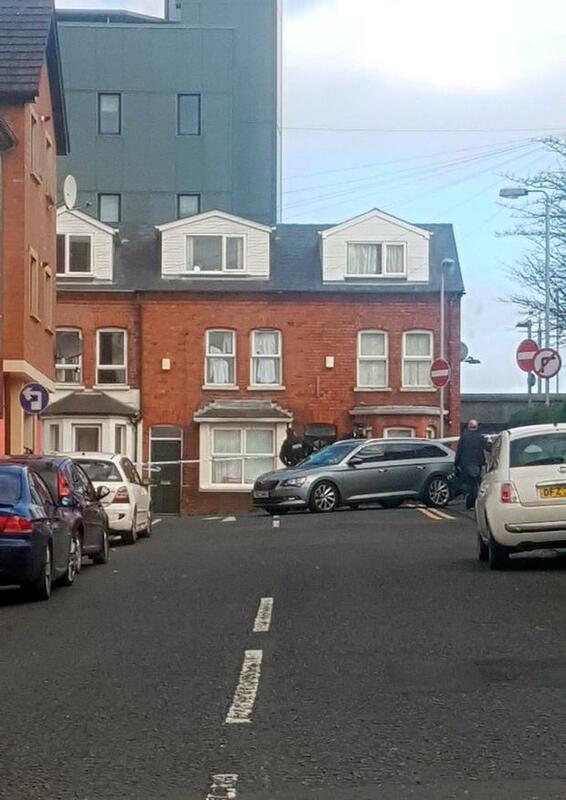 Handout photo of police activity in Dunluce Avenue in south Belfast, at the scene of an ongoing incident. Police are investigating the death of a 17-year-old girl who was found in the grounds of Belfast City Hospital beside a car early on Sunday morning. They are linking the death to a car crash in Castlereagh - approximately 5 miles away.